When I saw on Facebook Events that the Michael Jackson Estate was holding a fan event at Mandalay Bay for his birthday this year, I realized that I still hadn't up my personal review of the show. Seeing this show was many, many years in the making for me and I want to take the time out to document my "journey" there, my experience at the show, and of course, a couple of photo memories from my time there. Let's start at the beginning.... with Michael Jackson Immortal. I went to go see the Michael Jackson Immortal show in New York City when it came to MSG in 2011. I enjoyed because it was my first Cirque Du Soleil show, it was set to Michael Jackson music and to be totally honest... I was still very much grieving the loss of Michael. There were moments where I laughed, I cried, and even got out of my seat and danced. In spite of this, I didn't feel quite connected to Michael during the show. Fans tend to agree that there's a great sense of Michaels energy surrounding you when you hear his music loud and in the presence of other fans. For me, Immortal missed the mark. MJ One was everything MJ Immortal was not. I vowed to make it back to Las Vegas to go and see the show to be able to decide for myself. After a busy few months into 2016, I found my way back to Michael this summer and also back in Las Vegas. Seeing this show was one of the most emotional experiences I've had (post 2009) as a fan. Michael Jackson One truly captured the essence of Michael's message, his music, and his heart .... His heart... an element significantly contributes to the reason mega-fans exist (and yet is often overlooked). I can generally say that I am a fan of any tribute to Michael Jackson because I believe every effort is something that contributes to keeping his legacy and memory alive. In spite of this, I am admittedly critical of most projects because so many in the past seven years have missed the mark. Michael Jackson One nails it. Even before it begins, you are immersed in Michael's world. From tabloids to the flashing lights of paparazzi cameras, even the casual fan gets a glimpse into the intensity of Michael Jackson's stardom. The storyline is clever and four main characters are witty but for me, they came secondary to the amazing selection of music and videos of Michael that accompanied the dancers and performers on stage. The song selection is very similar to what was used in the "Michael Jackson Immortal" show but, the usage is better executed this time around. Particularly during the performance of "Man in the Mirror," is when I found myself especially emotional and overwhelmed by Michael's energy. Although, some parts of the story are slower than others, I found there were enough moments of Michael Jackson One that make it a must-see show for both casual and mega-fans like myself. GO SEE MICHAEL JACKSON ONE, y'all! Have you seen Michael Jackson One? How did it compare to Immortal for you? Although I've been saying that I wasn't too thrilled about what I saw the first time around I have now had a slight change of heart. I felt that it was too cliche and almost There will be some slight changes, according to John Branca, so I can't pass up the opportunity to see what's in store. I do have some favorite moments, like the unforgettable performance of "I Just Can't Stop Loving You," which was truly breathtaking. Looking forward to seeing the changes. I'll be sure to post when tickets go live again! How many MJFAM will be there to check this out the second time around? I’ve been blessed and fortunate to visit several countries and look forward to exploring more of the world when I get the chance. I have done more international travel than domestic, which is something that I plan on changing this upcoming year. I have heard rave reviews from both Michael Jackson fan friends and critics on the new Michael Jackson Cirque Du Soleil show ONE. I wrote on the blog about a year back with my experience seeing Immortal and it not really impressing me much. ONE is supposed to be totally different. The show focuses more on Michael's creative genius, which sounds a lot more enjoyable then the Rock n Roll style of Immortal. & It only makes sense to head back to Vegas in 2014 to experience the town in all of it's glory (while getting in some awesome Michaeling!). Here is a list of things I would recommend trying for any Michael Jackson fan visiting Las Vegas. 7. Play a Michael Jackson slot machine. Just do it! I've never really won much besides a couple hundred dollars here or there but, if nothing else- play this game for the awesome experience of sitting back and playing a game set to the soundtrack of Michael! These machines should not be hard to find, as they are one of the most money-making and popular slot machines out there. 6. Visit Madame Tussaud's wax museum. If you have never been to one of the famous wax museums, visiting Las Vegas is the perfect opportunity to do so. I must warn you, the MJ figures never really look MUCH like him but... it's still kinda cool to see his exact height, stature etc. 5. See Legends in Concert. I have never personally seen this show but, my parents and other friends I know have. They feature 4 or 5 legends per show ranging from Elvis, to Lady Gaga, to Madonna, to of course, Michael Jackson. Check the official site here to be sure that you like the line-up before you attend. 4. See MJ LIVE - a Michael Jackson tribute show at the Rio Hotel. My friend V. is one of the biggest MJ fans I know and she LOVED this tribute show when she recently visited Las Vegas. I plan on booking seats for sure! Who could forget about this? (link here) All Michael Jackson fans must see "Living With Michael Jackson" the Martin Bashir interview. We all know that this is the moment that arguably caused somewhat of a downward spiral for Michael and his image but, to me it's mandatory for all MJ fans to see from start to finish. Michael loved the Shops at the Venetian hotel and this was the very FIRST thing I did when I visited Las Vegas a couple years back. I won't say that I felt Michael's spirit or anything but, it was sort of cool to see the shops up close and in-person! 2. See Smokey Robinson Presents Human Nature- The Motown Show. I went to see this two summers ago and it was one of the best shows I have seen. I even had an ABC cocktail while enjoying the performance! Human Nature is a pop group from Australia that perform all of our favorite Motown hits, by both the male and female groups that shaped the music of a generation. Don't take my word for it- check Tripadvisor here, the show is rated #18 of all attractions in Las Vegas. 1. See Michael Jackson ONE! GO SEE THIS... 'nuff said. When I go see Michael Jackson ONE, I will be sure to come back and post my honest review. So what are some of your top things to do in Las Vegas? Did I miss anything, MJfamily? So... #MJFAM I'm sure that you've all heard by now... the newest collaboration between Cirque Du Soleil and the Michael Jackson Estate has been announced. After the first leg of the IMMORTAL World Tour grossed over $160 million (source) it's no surprise that Cirque is going to ride this wagon 'til the wheels fall off. I'm not mad at that! 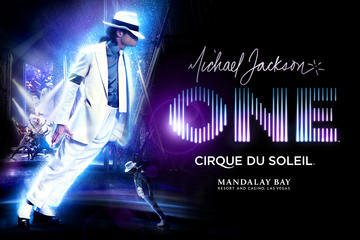 The show will start its indefinite run at the Mandalay Bay Resort and Casino on June 29th, 2013. According to the official website for the show, " Michael Jackson ONE is a theatrical evocation of Michael’s creative genius. Guided and inspired by his music, four misfits set out on a transformative adventure. By journey's end, they will personify Michael's agility, courage, playfulness and love". That all sounds excellent but, personally it's not enough for me to judge whether this show will be something I will enjoy or not. I'll just have to make a trip to Vegas and see :-). Naturally, I am like most Michael Jackson fans who love most tributes related to him and his legacy. My ONE requirement for this show though, is that it be better ... WAY better than the Immortal show. I was very excited to see the Immortal World Tour for two reasons: A. It was a Michael Jackson tribute show (duh!) and B. I'd never seen a Cirque show before. What will be the key difference between the Michael Jackson Immortal and Michael Jackson One Cirque Du Soleil shows? Robin Leach: You also were the director of “Michael Jackson Immortal,” so how tough was it to do a show different from a show you have already done? It has got to be the toughest. Jamie King: I think at first the idea of it made me a bit nervous; I felt the challenge of it. I was so excited about another opportunity and knowing that it would be different because I know how to do a rock show. That was really what ‘Immortal’ was meant to be -- a rock/Cirque interpretation, arenas I get that -- but a theater show, to be able to do that, is really a dream for me. It already is a different show because it is in a theater, and once I got my head around that, a smaller, more intimate venue, it can be much more immersive. I do feel that after seeing Immortal, I am now more prepared to appreciate the artistic interpretation of Michael's life and legacy through Cirque Du Soleil. Annnnnd I will absolutely be posting my thoughts and review of the show once I do go see it. So... who's coming with me to Las Vegas ? Watch the MJ ONE Facebook page for updates on this exciting new show!